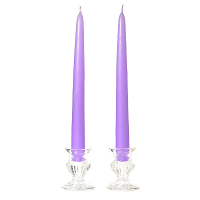 We hand dip our 8 inch taper candles into an unscented colored wax, creating bold, vibrant, colored candles. 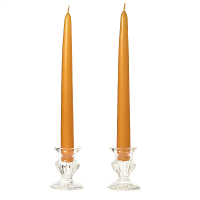 This also is how we make or dripless taper candles. The colored outer wax coating is a higher melting temperature than the wax inside. 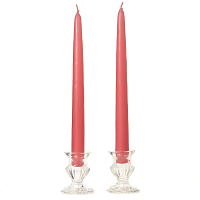 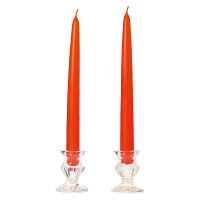 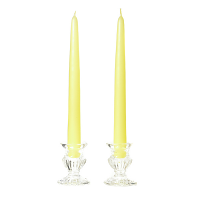 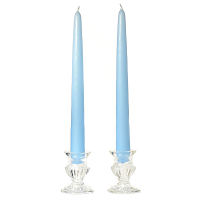 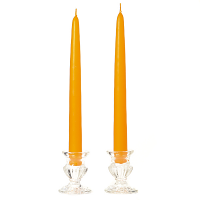 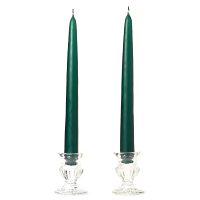 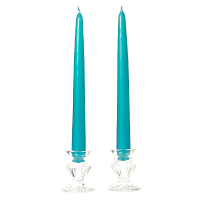 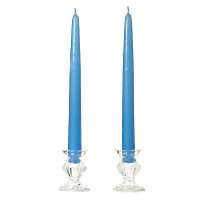 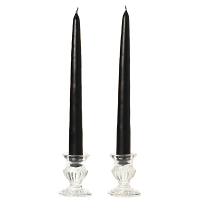 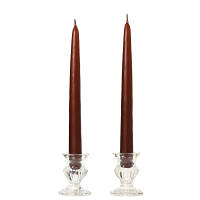 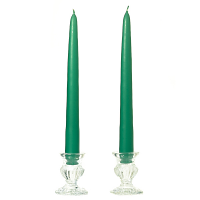 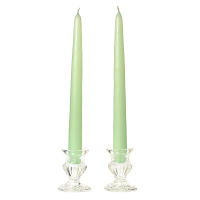 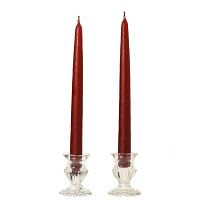 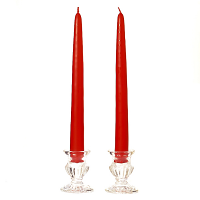 These short tapered candles are perfect for creating a romantic atmosphere. 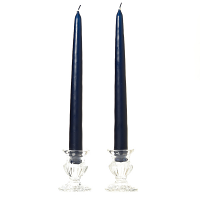 These unscented taper candles are sold by the pair which are joined together by the cotton wick. 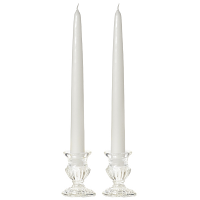 These small taper candles will burn at 1 to 1.5 inches per hour.